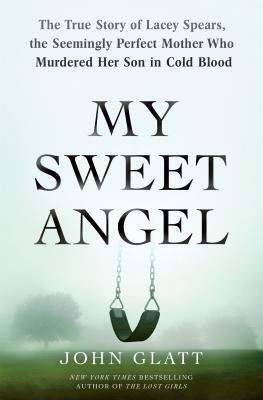 I’ve been reading a lot of true crime books recently, and I came across this well-written book: My Sweet Angel by John Glatt. This book tells the true story of Lacey Spears, a woman convicted of murdering her son as she suffered from Munchhausen’s by Proxy. Glatt does an incredibly job at telling this story. Unlike many true crime books that start with the crime and reveal details as they were revealed during court, Glatt tells the story linearly. He begins by talking about Lacey in her pre-motherhood days and goes linearly through time until we reach her conviction. I thought this was a very effective way of showing us the progression of Lacey’s decline. She was clearly ill before she was even a mother – there is a lot of evidence that she was obsessed with and hurt other children – but things escalate after she has her own child. Glatt’s research shows the many lies that Lacey told over the years. She seemed obsessed with being the center of attention, and she used social media to find bigger audiences. She manufactured tragedies to get more and more sympathy. Lacey is a truly fascinating person, and I’m still curious as to whether or not she believes her own lies. Unfortunately, she hurt people to get this attention, and her poor son died as a result of her actions. The evidence definitely shows that she murdered him deliberately. I will say that this book was very hard to get through because of the subject matter. I’m not even a mother and I found it emotionally devastating to read, so I imagine it would be even harder for most mothers to read. Still, Glatt is one of the best true crime writers out there, and I’d love to read more of his style.